Meet Daisy and join her adventure in the first of four exciting stories about a hopeful girl in troubled times. It's 1930 . . . and Daisy lives on a farm, where she loves riding her horse, Jimmy, through the paddocks. Times are tough, and when her father loses his job, Daisy and her little sister, Flora, are sent to Melbourne to live with their aunt and uncle. Daisy must leave behind everyone she loves for a city she's never seen, and even her wildest daydreams can't prepare her for the new life that awaits her . 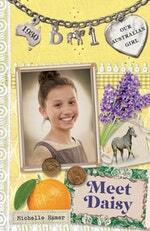 . .
Love Our Australian Girl: Meet Daisy (Book 1)? Subscribe to Read More to find out about similar books.